- BATE have lost on each of the three occasions they have hosted an English side in Europe. - Chelsea have won four consecutive games in European competition for the first time since April 2012, when they went on to win the Champions League. - Maurizio Sarri has won all 10 of his Europa League group-stage games as a manager, with his sides scoring 28 goals while conceding just four in return. Three Englishmen started for Chelsea against BATE (Ross Barkley, Gary Cahill, Ruben Loftus-Cheek), the most for the Blues in European competition since April 2014 versus Atletico Madrid (Cahill, Ashley Cole, John Terry). 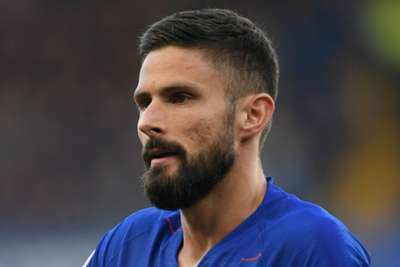 - Olivier Giroud scored his first goal for Chelsea since netting against Liverpool in May – he had gone 14 games, 793 minutes and 24 shots without scoring.